Marie was part of a panel discussion on May 10th, 2017 at the BSA space to talk about the future of Columbia Road and the Emerald Necklace. It was the last of a four-part event, Fulfilling the Promise: Community Building and the Emerald Necklace. Read more here. 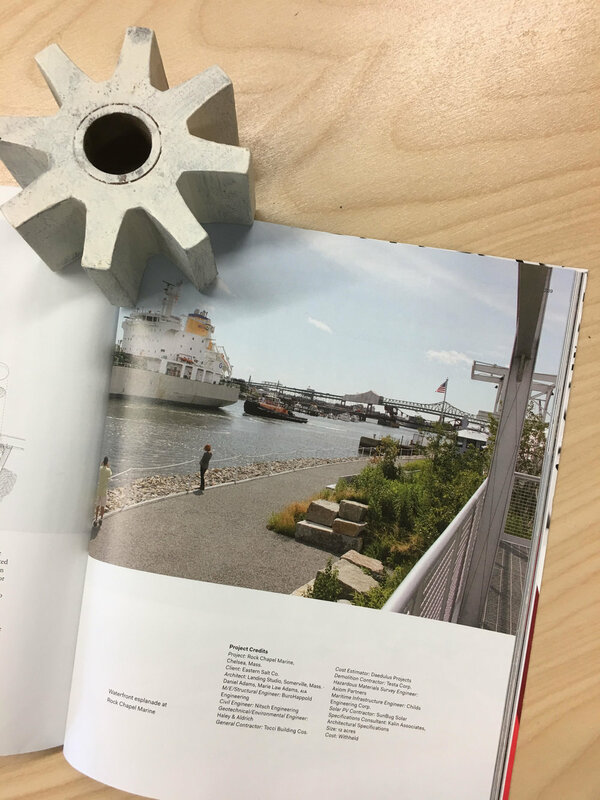 April Issue of Architect Magazine featuring the AIA Honor Awards, including Rock Chapel Marine for Regional and Urban Design. The Architectural League of New York's publication Young Architects 17: Authenticity, has been released. 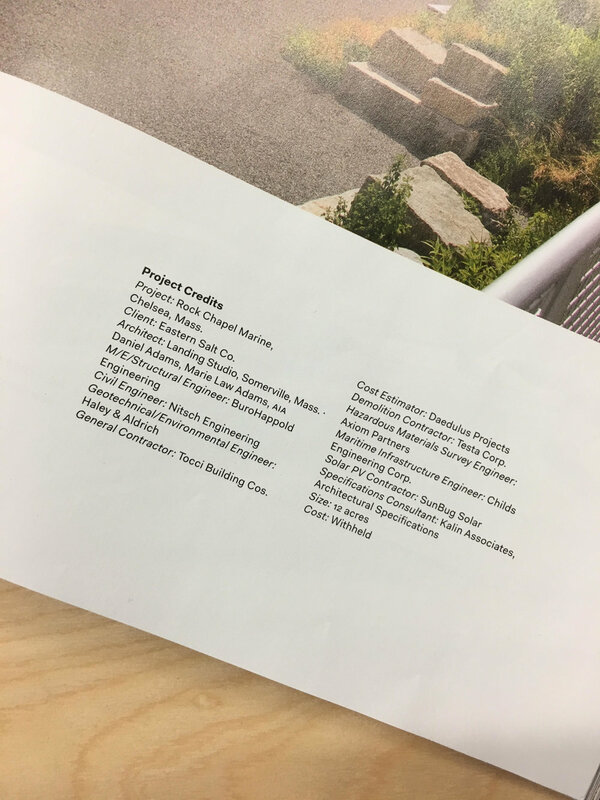 The book features the work of the 2015 Architectural League Prize winners including Landing Studio, First Office, Besler & Sons, mcdowellespinosa, Thom Moran, and Endemic. 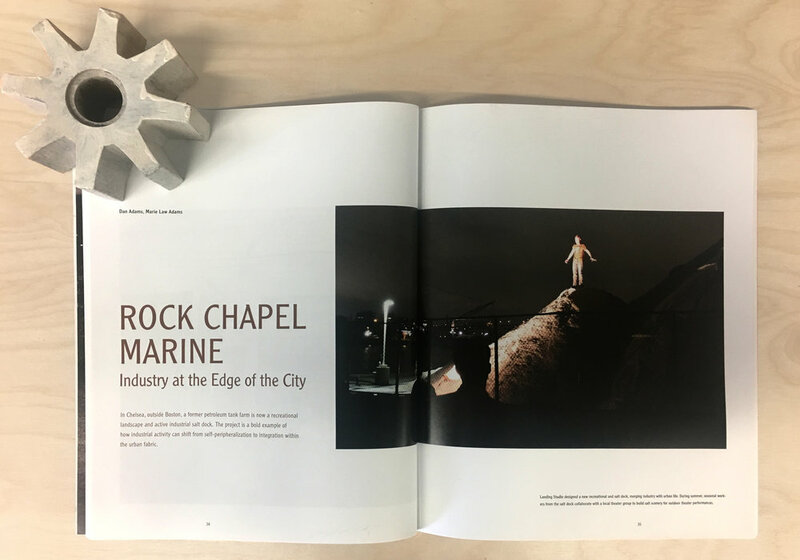 Rock Chapel Marine is the redevelopment of a mothballed oil terminal into a seasonally-shared road-salt transshipment facility and public waterfront park in Boston Harbor. 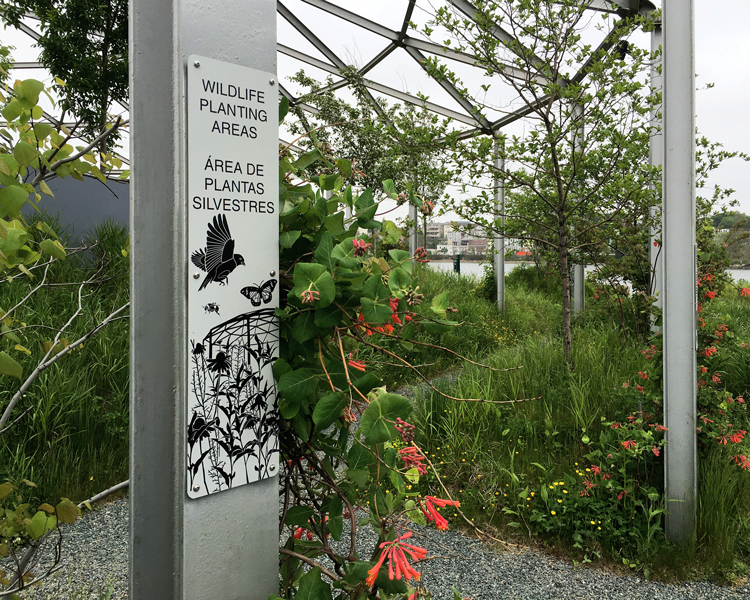 The project balances seemingly incompatible uses – active industry, public recreation, and wildlife habitat –through the design of industrial operations. The project interweaves industrial operations with the life of the city by making use of the seasonal nature of the road salt industry to expand the park area during the summertime when the industry is less active. In the winter, the shared area returns to industrial use. Read Marie's book review of Clare Lyster's Learning from Logistics here. The review was published online in the Journal of Architectural Education. Landing Studio lectures at the Rhode Island School of Design and opens "Peri-Industrial". On exhibit through November 2016. The P.O.R.T. (Publicly Operated Recreation Territory) was Shortlisted for the WAN Landscape Award 2016. Read more here. 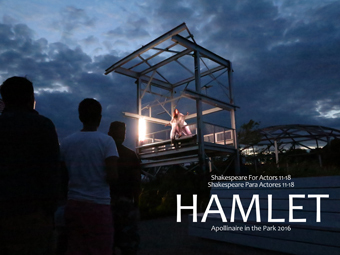 The PORT park hosts the Apollinaire Theatre Company's performance of Hamlet. The play takes advantage of the different stage opportunities on the site, including the tugboat, the waterguns, and even on the salt pile! Read more here. The Boston Society of Architects publication Architecture Boston features Landing Studio's Oil Tank Demolition Projections in AT ISSUE: NOW YOU SEE IT. Read the full article here. 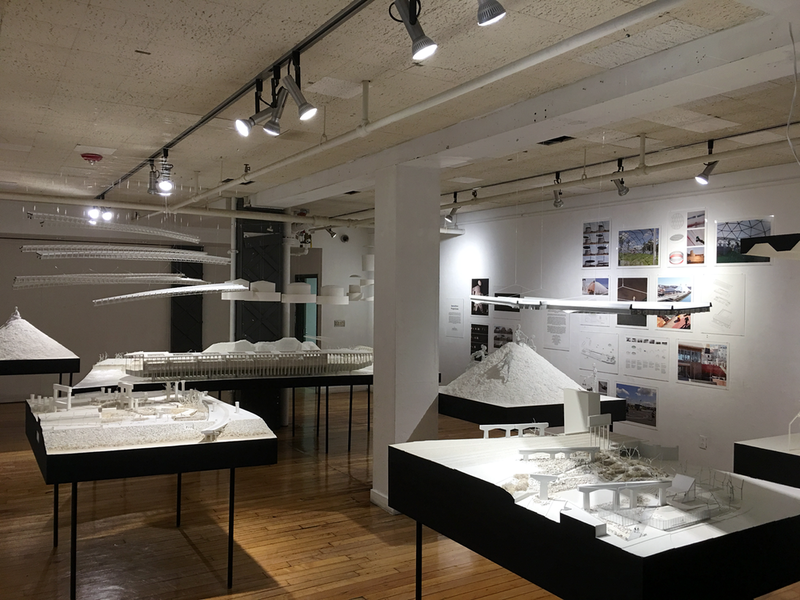 Landing Studio is interviewed in the Architects Newspaper article Our studio visit with Somerville, Massachusetts–based Landing Studio. Read the full article here. The Architecture League's platform Urban Omnibus features Landing studio in the series Unseen Machine. Read the full article here. 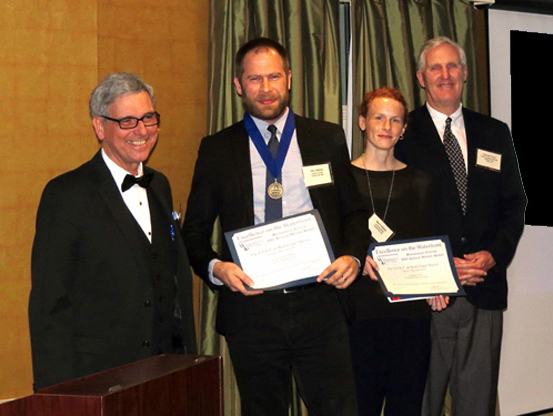 The PORT wins a 2015 Waterfront Center Honor Award! Landing Studio lectures at the City College of New York and opens "It Still Takes 12 Days". On exhibit through April 15, 2016. The Wall Street Journal names Landing Studio in their article How Today’s Young Architects Are Building the Future. Read the article here. Landing Studio was selected as one of the winners for the Architectural League Prize for Young Architects! UPDATE: See the Landing Studio installation here. Landing Studio to debut 16 Salt Tarps, Half Red Half White at the Architectural League's 2018 Beaux Arts Ball! Dan and Marie present Charlesgate at the Arnold Arboretum thanks to COGdesign!